It's almost time to rip it up and start again for this England squad. They've not made any progress in the past 12 months. But it can't be. This tournament has showed us England don't have quality strength in depth, and that's the reason the plan can't be totally ripped up. Eddie Jones will strongly believe what he's been doing is right, but this Six Nations has been a massive reality check. There are a lot of questions, about Eddie and what he's trying to achieve, but also about which players he's trying to do that with. His best players are not playing their best rugby and he needs to know why. The inclusion of Billy Vunipola and Ben Youngs, coupled with the return to the form of players like Maro Itoje and Mako Vunipola will probably bring this squad back to where they were. But it's not a switch you can just flick. England have entered the same phase of their development Ireland went through after winning their second successive Six Nations in 2015. The following season Joe Schmidt's side finished third and were almost unrecognisable from the champions of the previous two seasons. The other teams had worked them out, and that's what's happening to England now. The brains of Ireland's team from their back-to-back titles are still there this season, but they've brought in additions like Jacob Stockdale, Tadhg Furlong and Garry Ringrose. They've also played with huge accuracy - in the past two seasons, their penalty and error count has gone down and at the moment, England are failing on those counts. Ireland, arguably, do not have any world class players in their Grand Slam-winning squad. You could argue there are better scrum-halves and fly-halves than Conor Murray and Johnny Sexton who would get into a world XV. Tadhg Furlong is one you would argue less about. But what they do have are 23 players playing very well. What's happening with England is 10 of their starting XV are playing very poorly, and five are only playing OK. If the individuals aren't playing well, the collective isn't going to either. England also haven't been clever in their execution of their strategy, whatever that is. They know what they have to do, but just they haven't been able to do it. Simply, they need aggressive, intensive and explosive forward carrying. If Ben Te'o is picked at inside centre, why isn't he doing what he should be doing? Why isn't he taking those balls off the fly-half and at speed and creating havoc in defences? 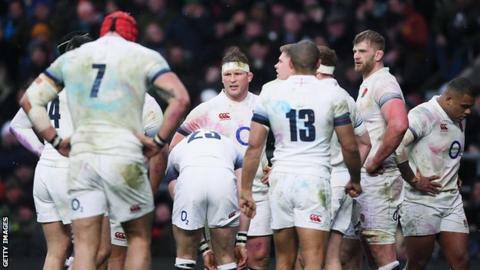 This England squad will be shaken to the core after their performances in the Six Nations. And the only place they can put things right is on the field. A lot of what they trained for just hasn't happened so everybody will question what they're doing and how they're doing it. Undoubtedly the confidence will be low until they get that next victory. But if people think England are in a mini-crisis, then South Africa are in a bigger one. They are unrecognisable from the team that got to the 2015 Rugby World Cup semi-finals. They have a new head coach, they're playing at home and it's England - so they will be up for it. Right now South Africa aren't a very good team, but neither are England. And with those issues put to bed, let's have a look at the stand-out performers from this year's Six Nations. Did any Englishmen make my team of the tournament? Conor Murray just seems to get better and better. He gets to the breakdown quickly, his box-kicks are incredibly accurate and the synchronism with Johnny Sexton is second-to-none. When he gets close to the line he's a huge threat and he plays very well pretty much every day. That's all you can ask of your best players. Johnny Sexton, his partner, came a close second. Was this the defining moment of the 2018 Six Nations? When Johnny Sexton hit that last-gasp drop-goal I said it would only go down as one of the great sporting moments in Six Nations' history if they won the title or the Grand Slam. Well, they did both. It was a bit like Gavin Henson's penalty for Wales against England in 2005 - this is one of those magical moments. It was the stepping stone and the foundation for Ireland winning the Grand Slam. It couldn't be more fitting. A lot of people will see it as an individual piece of brilliance but it was a massive team contribution to go through 41 phases of rugby. Sam Underhill denied Wales centre Scott Williams an almost certain try on the hour mark at Twickenham, with the hosts leading 12-3. When Hadleigh Parkes made the initial break for Wales, Underhill was on the floor on the 10m line but the back row sprinted over 30m to haul Williams into touch. Watch: Your try of the Six Nations? When Huw Jones got the ball for his second try against England, the rugby pitch looked like it was in freeze frame, and Jones just ghosted through. He's a quick man but he's not big so to hold off two defenders and have the strength to go over the line was fantastic. In my predictions before the tournament, I said Ulster's Jacob Stockdale would catch the eye. And the 6ft 3in, 16st Ireland winger broke the Six Nations scoring record with seven tries. He'd had a decent autumn and has fulfilled expectations in this year's championship. As a winger you're there to score tries, and he certainly did that. He's a name people will now take notice of. I want to see the number of replacements reduced from eight to four. It would transform the game and we would see so much more brilliant rugby. 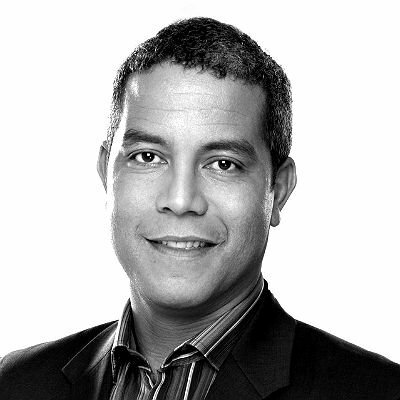 Jeremy Guscott was speaking to BBC Sport's Louise Gwilliam.